At the beginning of the 1990s, scientists discovered a family which presented the same speech impediments, generation after generation: i.e. problems in forming words but also in grasping grammar and writing. This proved that language has a genetic component. But which? Language will never be driven by one sole component. It is far too complex a process. 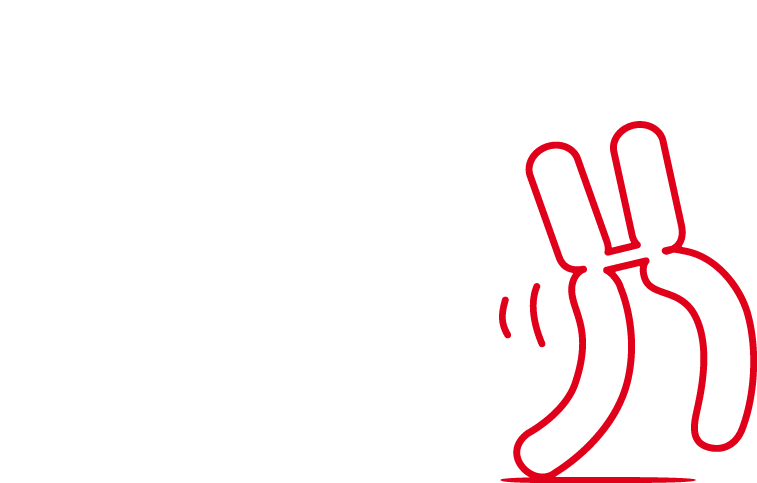 But scientists have discovered one gene – known as FOXP2 – that has a direct role in it. 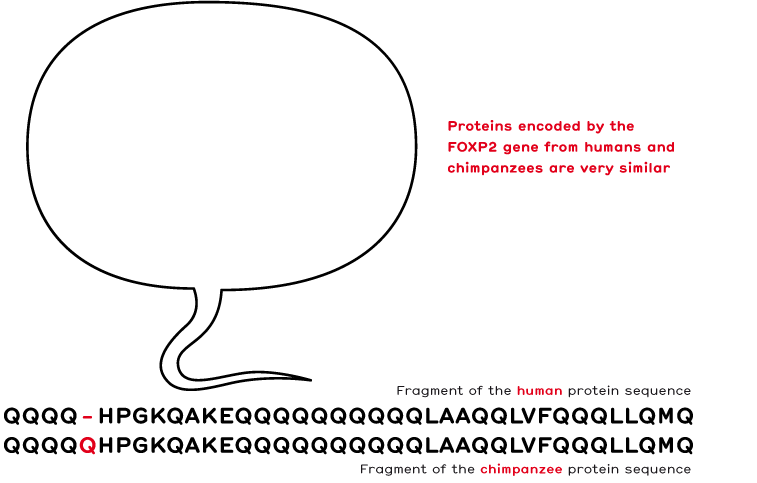 Surprisingly though, this gene does not only belong to humans. It is also found in many other species, such as monkeys, birds and reptiles. How do we know that this particular gene exists in so many different species? 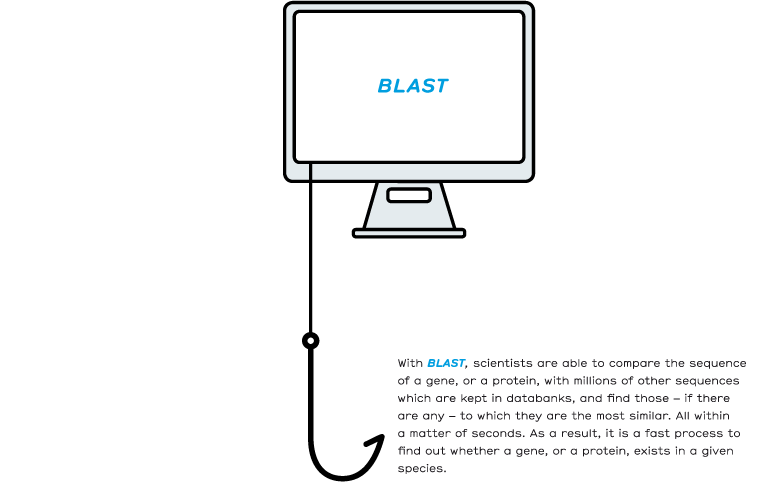 Thanks to a bioinformatics tool – known as BLAST for Basic Local Alignment Search Tool – that scientists worldwide use to compare the sequences of genes or proteins from different species. In this way, it became apparent that FOXP2 is found in many species and that other genes are present in species as distant as bacteria and humans!! 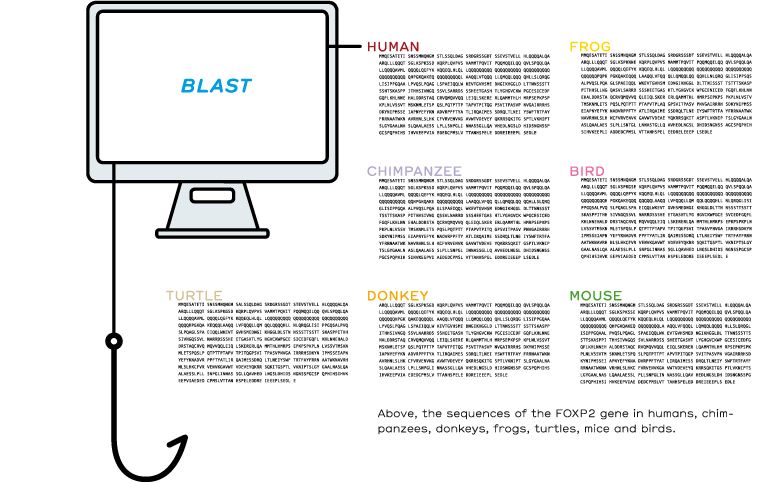 BLAST demonstrated that FOXP2 is not only found in humans. As a consequence, speech must depend on other factors. This said, FOXP2 certainly seems to have an important role in the art of communication.